The most common manufacturing process starts with a big chunk of raw material, like metal, plastics, other substrates, billets, castings or even a large forging, and removes unnecessary material by milling, drilling, shaving, etc. This is called subtractive manufacturing. What you end up with is the finished product and a lot of expensive wasted material. It may not sound like a bad thing, but when the material is an expensive substrate or exotic alloys, it adds to time and cost of the finished product. As part of managing quality of the outcome, there are also a lot of tasks that need to be fulfilled getting to that point, leaving room for greater amount of errors, more touch-points by various value chain stakeholders thus taking more cycle time. 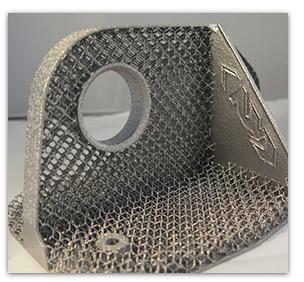 The new advent in manufacturing technology is called additive manufacturing or AM. This is where material is added only where needed layer by layer. The materials can be anything from powdered metals, plastics or even nanotube based carbon composites. 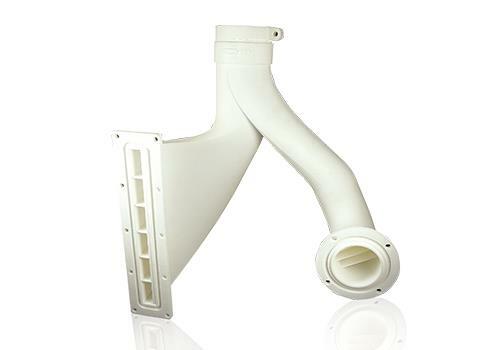 The process is accurate and, faster, enabling fabrication of dimensionally complex parts with almost no waste. The advent of 3D printing is taking this technology from making small widgets to creating large structural components such as wing spars, landing gears, and trusses. As a result of this, AM provides a very high conversion of starting material to product finish that allows for exceptional levels of design flexibility. The technology is new so the utilization is limited, but it is an ideal method when it comes to manufacturing on-demand pieces or customized pieces. This methodology is typical in semiconductor manufacturing, and now gaining steam in areas such as orthopedics and human implants. Once the computer-generated 3D model is loaded, material is deposited layer by layer, with a small amount of the substrate added each time until the entire product is built. While this may seem slower, the additive process usually is about the same speed - and sometimes faster - than subtractive. As of 2011, this type of manufacturing is not used as often because the technology is not stable enough for all products and substrates. Another typical technique is through laser manufacturing. The laser hits part of the substrate, usually metal, and melts it so more metal can be added to the substrate until the product is formed. As part of each layering, quality and dimensional checks are made through automated metrology thus ensuring final outcome to be identical each time. Some of the typical materials used in AM are: homogeneous materials like polymers, metals, and ceramics; heterogeneous materials like polymeric matrix, metallic matrix, and ceramic matrix composites; and multiple materials like carbon-fiber-reinforced polymers (CFRP). And there are various methods of AM such as electron beam melting, laser beam melting, photo-polymerization, droplet deposition, and 3D printing or adhesion bonding. I do not believe additive manufacturing will replace subtractive manufacturing, however, it can supplement where needed for greater efficiency, accuracy, cost and speed. When it comes to medical device AM, FDA regulates how the quality processes must be managed and quality systems need to be in place to ensure patient safety as governed by FDA’s cGMP requirements. Some of the AM utility is found in end-products such as surgical equipment, prosthetics and implants, and biomedical scaffolds. The additive manufacturing market is growing due to the rising incidence of surgeries, coupled with increasing awareness and advances in technology. Surgical equipment accounts for the largest share in this market due to their wide applicability. Europe dominated the AM for medical devices market in 2012, followed by North America. However, adoption of novel technologies in the medical field is gaining momentum at a fast pace in emerging nations due to growing educational and awareness efforts of industry players among physicians and patients. Moreover, increasing healthcare expenditure, growing income levels, low cost of manufacturing, rapid product development, growing surgical procedures with medical tourism, and lesser competition than mature countries, have amplified interest of market players in emerging markets. That means the 3D printers themselves would become a ‘regulated’ device, along with the code validation. Quality management needs to be integrated with the AM processes to ensure accuracy, quality and compliance for patient/product safety. Areas of quality management are: AM equipment qualification, process validation and continuous process verification. AM market is not huge, but growing rapidly. In 2012, global AM market ia $1.8B and is expected to grow at CAGR of 13.5% to reach $3.4B by 2017. Think about the steps it requires in conventional manufacturing: multiple jigs, tooling, specialized or bespoke handling mechanisms, multiple work cells that require greater amounts of resources, capital investment, people, maintenance and processes at each step to ensure consistency, accuracy and quality compliance. 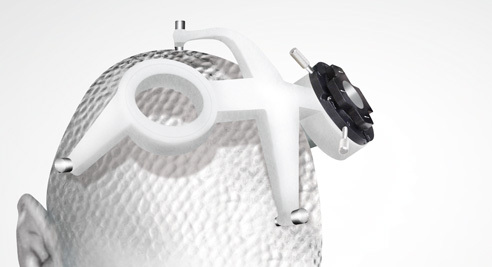 Some aerospace and medical device applications deal in precision that is 100ths of millimeter. For these reasons alone AM is very attractive supplement.